PartI What Is Public Health? 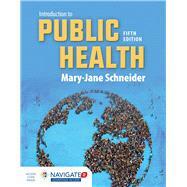 Chapter2 Why Is Public Health Controversial? Chapter13 Do People Choose Their Own Health? Chapter21 Clean Air: Is It Safe to Breathe? Chapter23 Solid and Hazardous Wastes: What to Do with the Garbage? Chapter26 Is the Medical Care System a Public Health Issue?